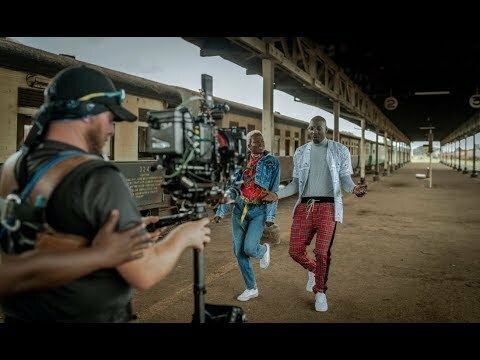 Kenya’s Afro-pop star and A-List musical group, Sauti Sol are keeping it “Short N Sweet” by collaborating with Nyashinski to commission the release of a smooth, acapella-themed love track. 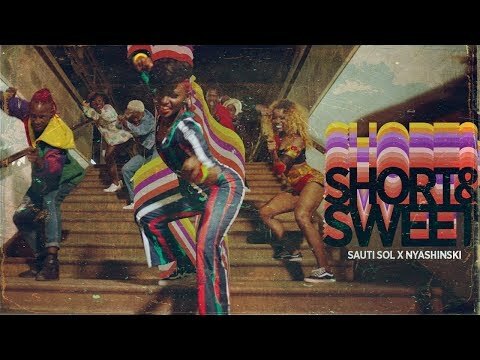 “Short and Sweet” is Sauti Sol’s 5th single off their Afrikan Sauce LP. Since the announcement of their forthcoming new LP, Afrikan Sauce, the “Melanin” hitmakers have been dishing the continent with back to back dope tunes. After teaming up with rapper, Khaligraph Jones for the nostalgic hip-hop fusion banger “Rewind” in March, Sauti Sol are showing no signs of resting on their oars. And this time, they commission their eagerly-anticipated fifth instalment by recruiting the help of fellow Kenyan heavyweight, Nyashinski, the former one-third of the hip-hop group Kleptomaniax turned solo artiste. Following a long disappearance from the music circuit, Nyashinski came back fully loaded to the Kenyan music industry in 2016 and released mega-hit tunes like “Malaika”, “Bebi Bebi” and ‘Mungu Peke”. “Short N Sweet” has an organic-driven sound and it’s a masterpiece between two of Kenya’s finest musical artistes. The strong acoustic instrumentation and acapella-driven background vocals lend an evocative note to the song and takes listeners on a soul-touching journey, and reminds one of the early Sauti Sol days. In a bold move which is very laudable, the group released the audio for “Short N Sweet” on its YouTube page. They’re yet to release its video and we will be counting down days to its release. To enjoy this latest offering from Sauti Sol, simply click here to download or stream ‘Short N Sweet”. And don’t forget to leave your thoughts in the comments section below. Holds a Bachelor’s Degree in Political Science and Public Administration plus advanced certifications in Administrative Support and Customer Service with years of experience as a content creator.A Nigerian-based writer, helps people create amazing content. She's also a proofreader, copywriter, and content writer. You can find her trying out new DIY projects, cuddling on a couch with a novel, or assisting in rearranging the house to her baby's taste. Extremely motivated, organized and disciplined.